A style spotlight on SUISTUDIO. Irreverent, daring, and bold as all hell, SUISTUDIO reshaped the world of women's suiting. 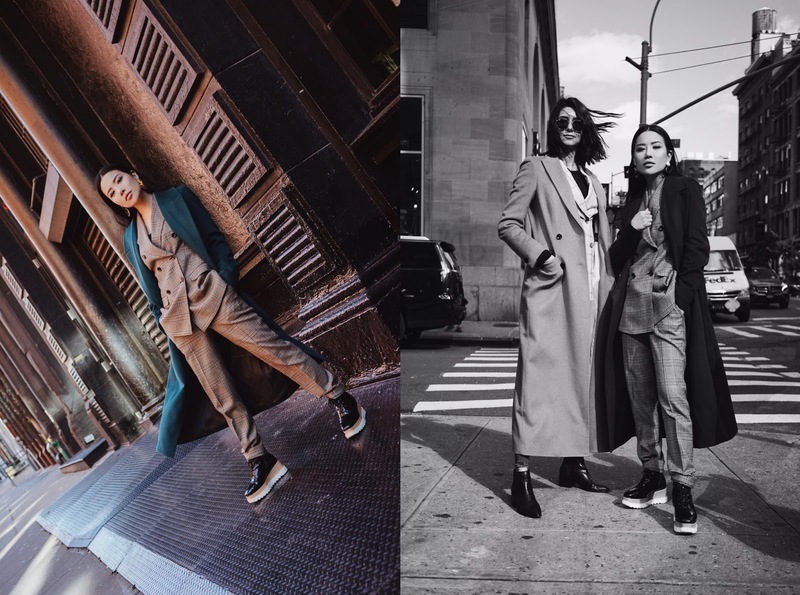 Hailing from their parent company (and longstanding suit staple) Suit Supply but a force completely their own, SUISTUDIO entered the market by storm. You may have seen their heretic-at-a-glance campaign using suited women and naked men that went completely viral, but the message that lies therein is that whatever men can do, we can do just as well. Their philosophy isn't about pitting anyone against anyone else--it's about everyone being able to do/wear/be everything. Liberating. A quick jaunt up to their flagship store in Soho had me styled (note the hue of the coat bringing out the greens of the suit), tailored, and out the door in an hour--a truly custom-fit experience from start to finish. I feel like I've just ushered in the era of suits in my fashion timeline; wearing this suit today made me feel on top of the world. SUISTUDIO: powersuits for powerful femmes. Check out my full look below. This is classic style of suit accented with new spirit. The bold and confident attitude changed the look of suit. I love this! New classic! Bold, I love it! Fantastic blogging by the author. Love your outfit! So cool!! The green coat is so unique!! I wish I had one! Thank you for sharing about the brand!